Robin Williams was the funniest man in America for years on end. Whether you were hooked during the Mork and Mindy era or his work as the Genie, you loved the way he made you laugh. 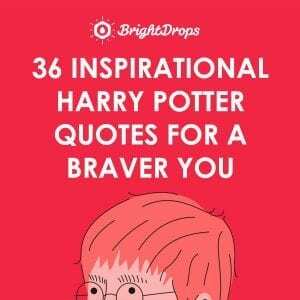 This collection of Robin Williams quotes captures his wisdom, his humor, and his Patch Adams-sized heart that we all love and remember him for. The most lovable quality about Robin Williams was his unique perspective on the world. He saw the same thing we all looked at every day, but through his lens, he had such a unique and beautiful vantage point that gave us his absurd humor. This small observation is a way to kickoff our list to show just how his mind always centered on fun, even when talking about the weather. 2. Robin Williams Is a Mad Man! That unique perspective Robin Williams gave us was a little spark. That fire continues to burn in the legacy he’s left for us in his works. 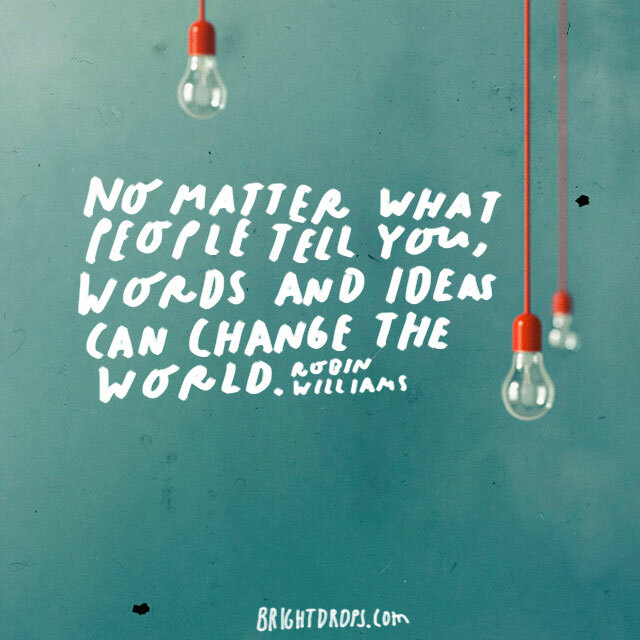 Williams believed that we all had that same spark in us and we were just afraid of what everyone might think if we acted out our innermost thoughts or even just stated them out loud. 3. 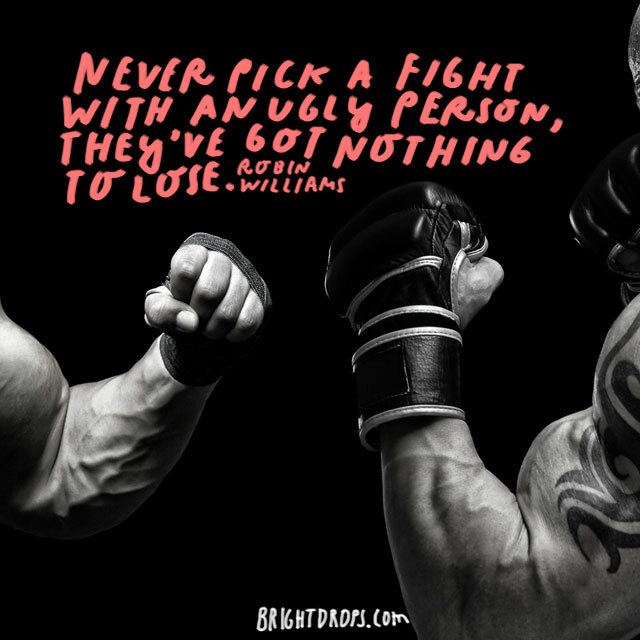 Robin Williams on ugly people. One of those things we would never say out loud is to just call people ugly. Robin Williams went one step beyond that, warning us to avoid ugly people because they’ve got nothing to lose. After all, they’re already ugly. While this may just be a dark inner thought, I believe he is being a little deeper here, referring to those we should avoid because they are ugly on the inside. 4. 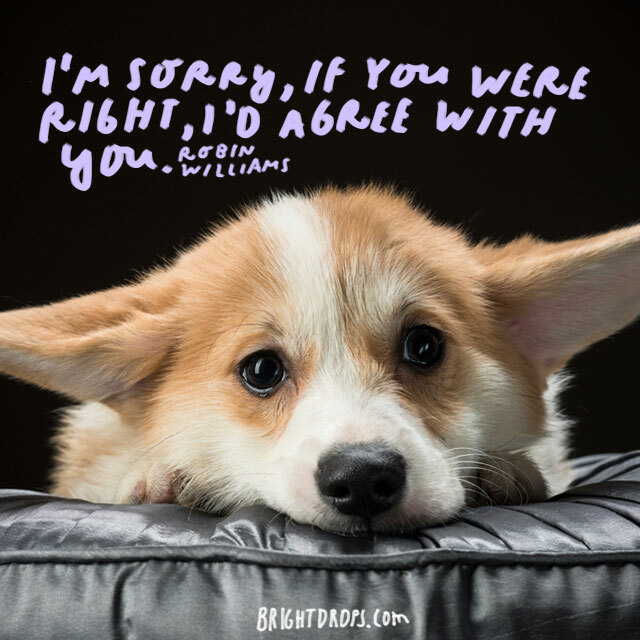 Robin Williams Apologizes for Being Right. Robin Williams was known for saying controversial things. Regardless of how outlandish some of his thoughts and comments were, he never backed down. When he took a stance on an issue, whether big or small, he stood strong. We can all take some inspiration from that type of commitment. When you stand for something, don’t back down. 5. 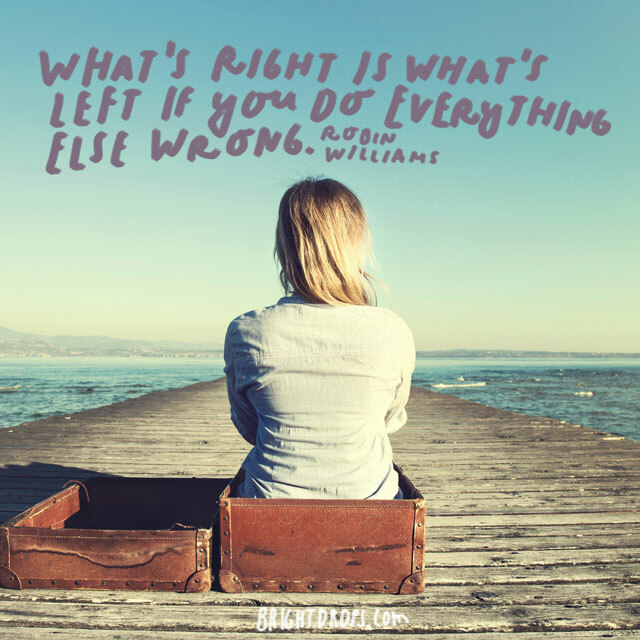 Robin Williams on Doing What’s Right. Robin Williams talked at length about politics and religion and every other topic that you could ever talk about as a comic and actor. His approach to taking a stance came from trying to see a topic from all sides. While he might’ve been summarizing it with a humorous slant, he was giving us great advice on controversial issues. 6. Robin Williams on Death. In hindsight, this is quite prophetic. We do have an obsession with our late celebrities. Robin Williams knew this and stated it even though it was one of those things you probably aren’t supposed to say publicly. These Robin Williams quotes are a bit macabre at times, but they give us insight into his genius and his sense of humor. 7. Robin Williams on Drugs. When it comes to turning a phrase, there are none better than this one. We often think of people using drugs to get through life. Robin Williams, an admitted addict throughout his life, saw things from the other side of the fence. 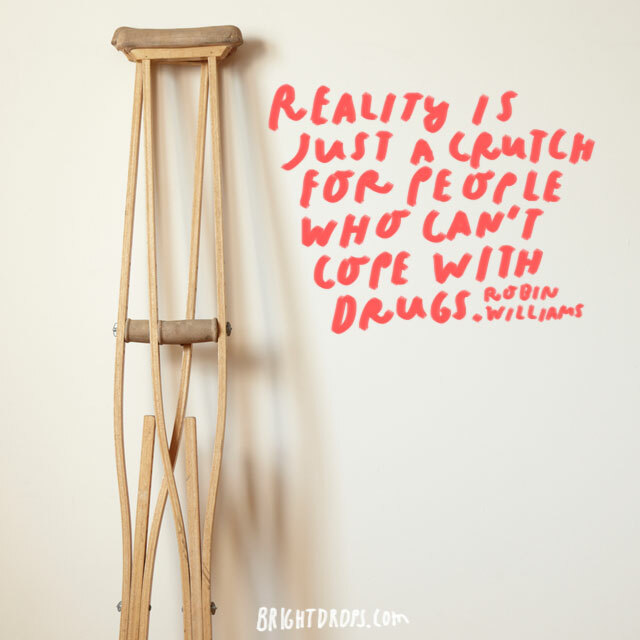 Maybe in his reality, drugs were the normal part of life and the real world was dull. 8. Robin Williams on Creativity. 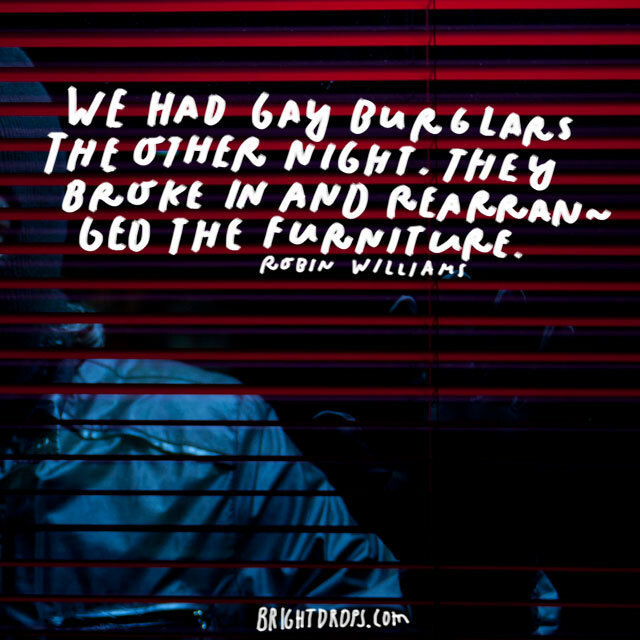 Even a comic genius like Robin Williams found collaboration to be rewarding. We often see some of the greatest minds struggle with fame and fortune. The lesson we should learn from that is to never seclude ourselves. 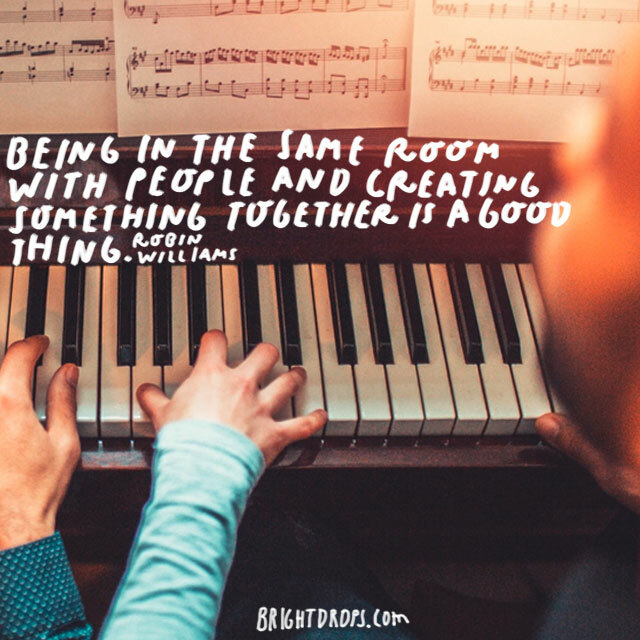 Always appreciate those around you and treasure the art of teamwork, even when it seems like working alone might be easier. 9. 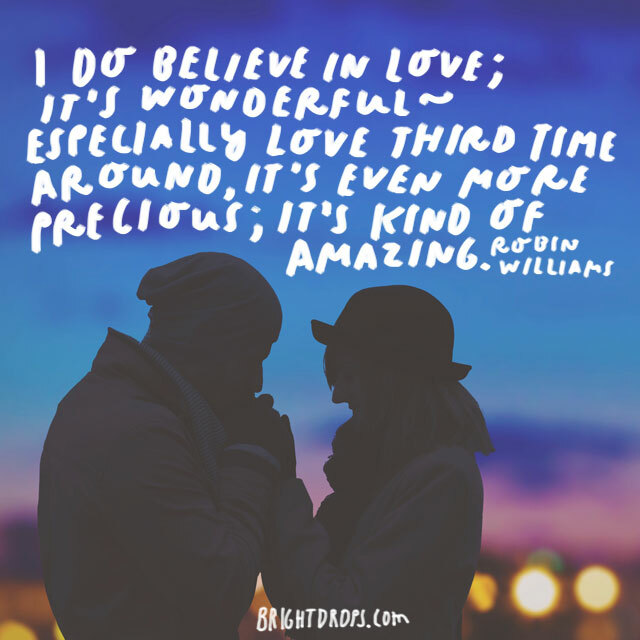 Robin Williams on Love. Robin Williams never gave up on love. He faced serious heartbreak twice while he was in the public spotlight. He found true love when he thought he’d never find it again. He’s a true inspiration to anyone who’s ever experienced heartbreak. 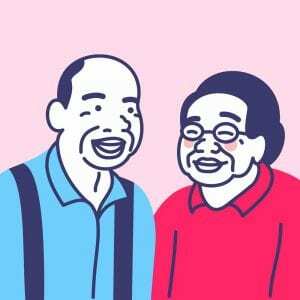 And even those who have a couple failed relationships under our belts. 10. Robin Williams Was Robbed. Again, there are some things you just aren’t supposed to say out loud. That never stopped Robin Williams from making the funniest observations a public spectacle. The true brilliance behind many of his inappropriate jokes are that the target of those words said in poor taste would often be the ones laughing the loudest. 11. Robin Williams on Politics. Regardless of political views, this could be said of any president at any time. 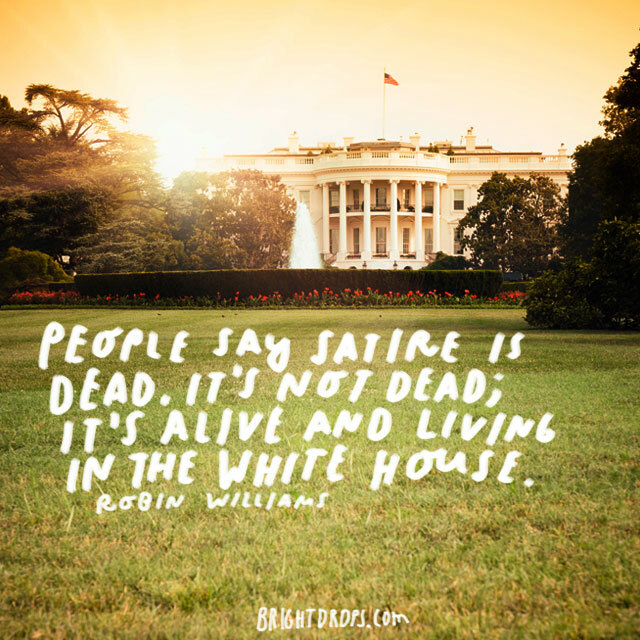 Thanks to the likes of Robin Williams, we are able to find the humor in our political leaders. 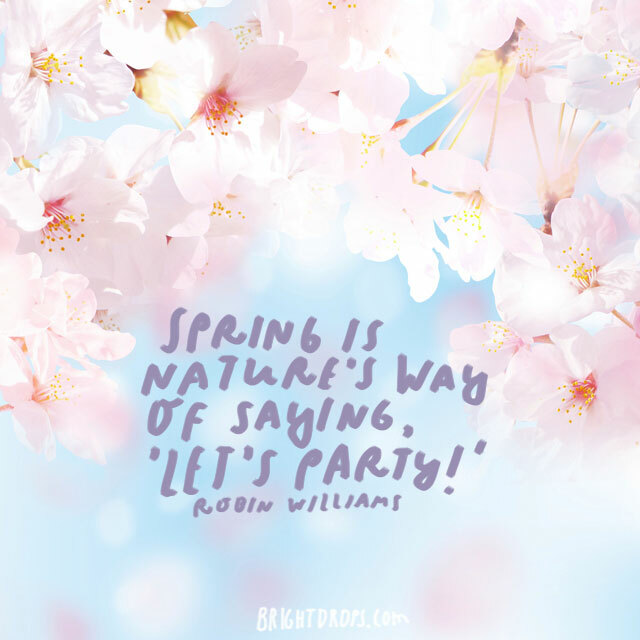 Rather than dwell on the leadership of the country and the wrong turns a president might make, Robin Williams encouraged us to find the humor in politics instead of causing constant division. 12. Robin Williams on Canada. 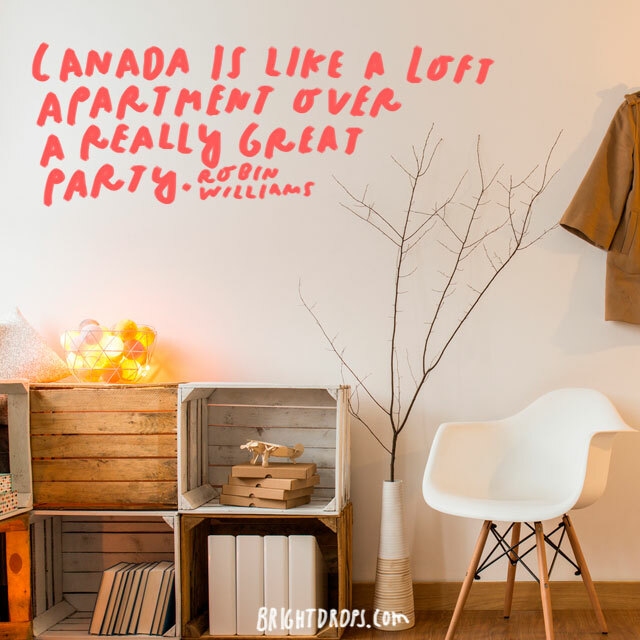 Another example of his stellar wit, Robin Williams makes an observation about our relationship with Canada. Our closest ally in terms of proximity, the Maple Leafs (and Les Habs) sit right there above us and occasionally tap the broom on the floor to tell us it’s time to quiet down. They never quite get bothered enough to really fuss at us. 13. 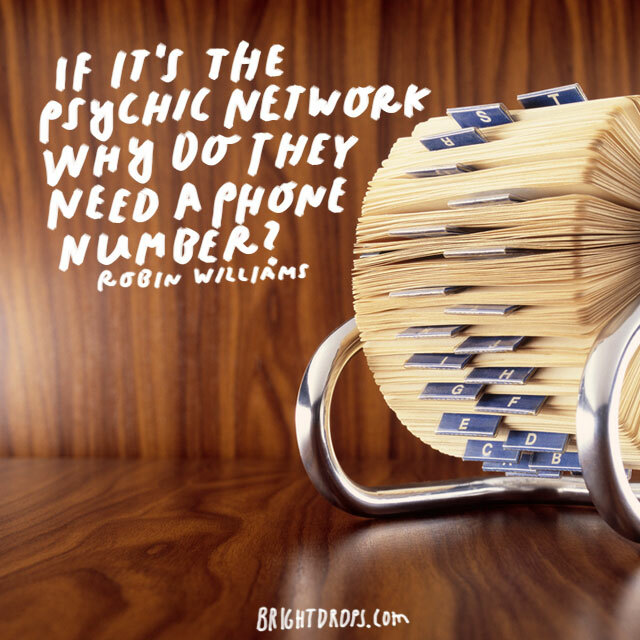 Robin Williams on the Psychic Network. Not that anyone would ever admit to calling, but there must be someone that kept them in business all those years. At the height of their popularity, Robin Williams pointed out the obvious. 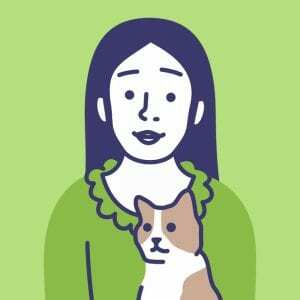 If they had all the answers, they wouldn’t need a phone number, they’d let you know telepathically. 14. 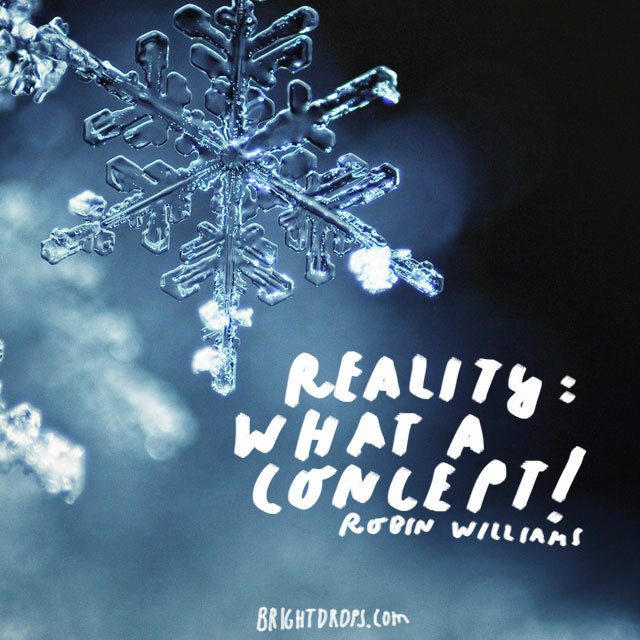 Robin Williams on Reality. Sometimes, we get so caught up in our busy lives, we forget to stop and smell the roses. Even the wildly successful funnyman himself got lost in the hustle and bustle of monotony and requirement that gets you down. On those days, it’s nice to remember that there is a big world around us that has a lot to offer. 15. Robin Williams on Gentiles. If there was a better definition of a Gentile, I have yet to find it. Mayonnaise seems to be one of the few foods that does not cross all ethnic lines. 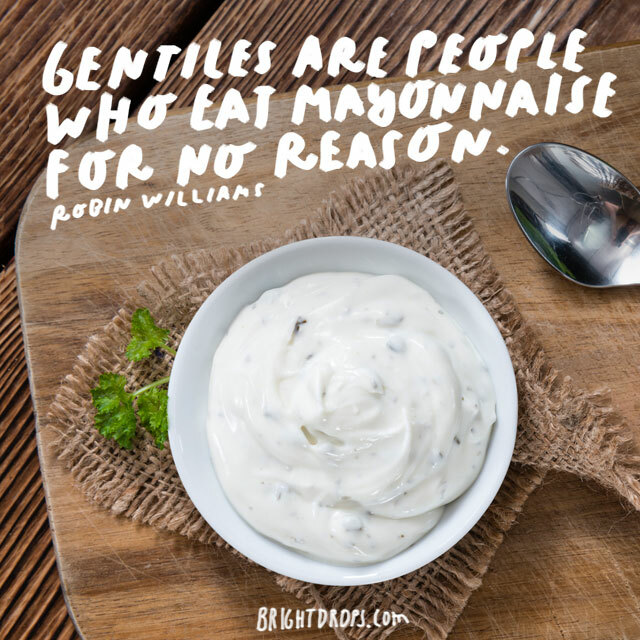 Jewish people don’t eat mayonnaise for religious reasons, but is there any real reason to eat mayonnaise? We find out just about every 3 years that it’s even worse than we thought. At this point, it should be banned, but it’s just too good for that to ever happen. 16. Robin Williams on the Afterlife. The Afterlife is one of the most confusing topics. Most of us have a hard time envisioning eternity. It usually involves floating on a cloud or playing a lyre. 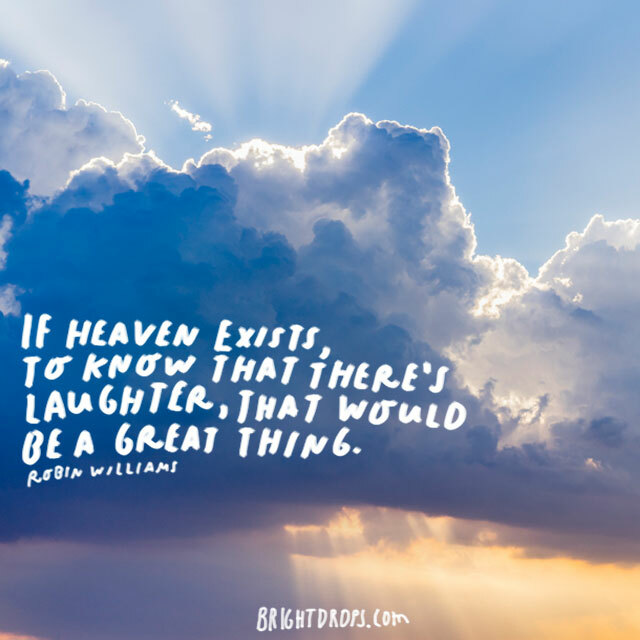 Seldom does anyone ever picture the Afterlife as a place with people like Robin Williams delivering standup routines the same way we have on Earth. Fingers crossed! 17. Robin Williams on Rush Hour. 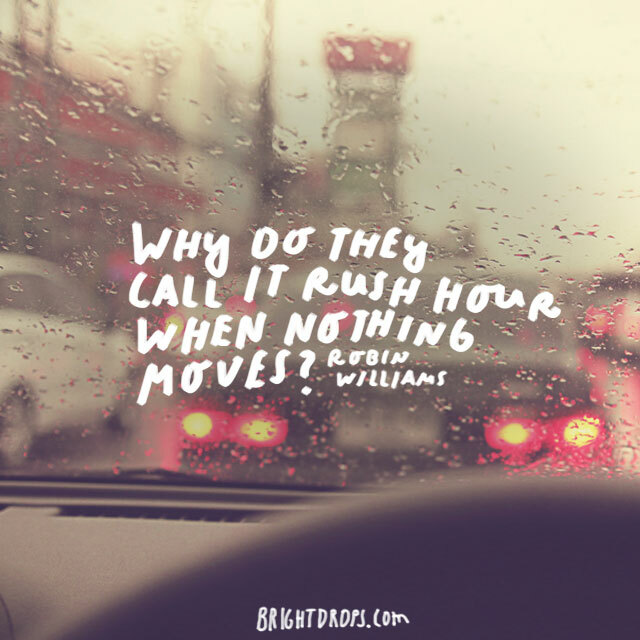 Everyone gets frustrated by the paradoxical nature of rush hour. Everyone is in a rush but no one can do anything to satisfy their need for speed. Robin Williams knew that and hated it just as much as all of us. Some of his jokes weren’t so much jokes as they were a way to let us know that we all have the same frustrations in life. 18. 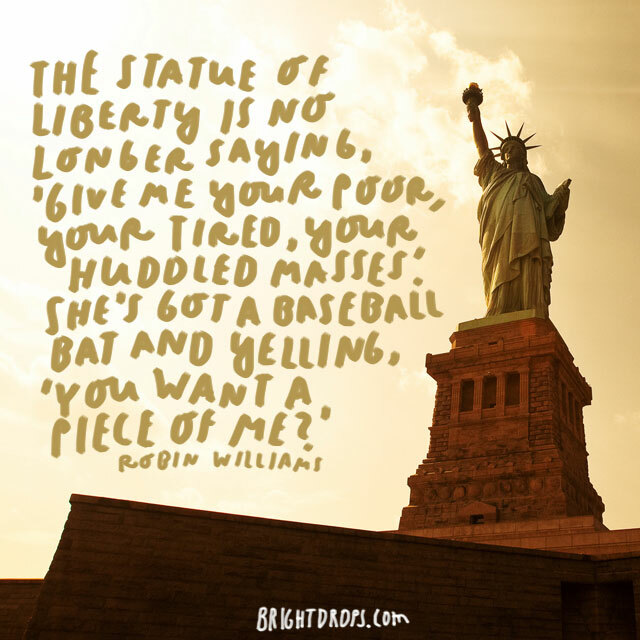 Robin Williams on the Statue of Liberty. While there are some political undertones in the comment, Robin Williams is making light of a situation that has plagued our country for some time now. 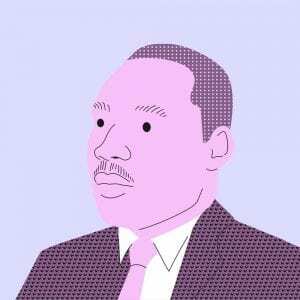 We no longer have the loving and accepting attitude that made America great and helped us thrive and surge through the 20th century as a world leader. Now, we’re just as average as everyone else. 19. Robin Williams on Shortcomings. Everyone has a weakness, even those we look up to. Robin Williams was no different. He was afraid of snakes just like 99.99% of the population. That’s not much of a weakness, so he also let us know that he can’t dance. Again, probably not a weakness as much as it is a way to relate better to the rest of us. 20. 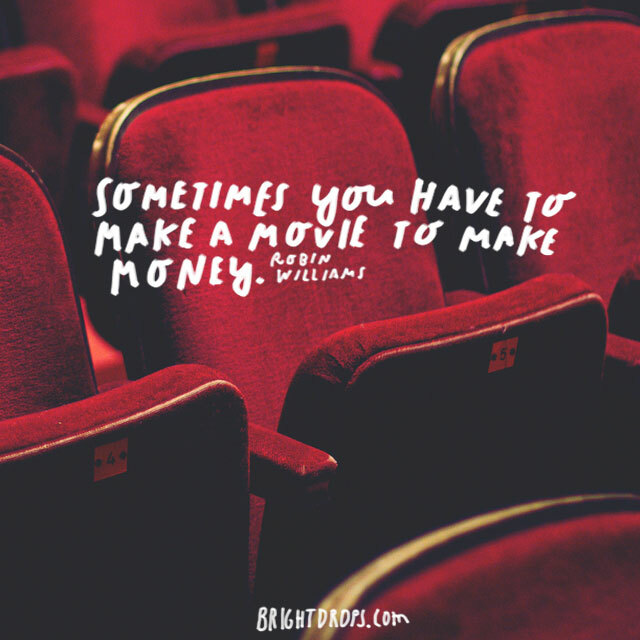 Robin Williams on Making Money. In the monotony of our lives, we think that celebrities have such an easy life. The reality is much different. Robin Williams had his fair share of discontent throughout his life. There are times for every infinitely rich person that they must chase the paycheck the same way we do. They have little choice in the matter, the same way we do. 21. Robin Williams on More Money. When you have to make a movie like Flubber, there are some reservations. For Robin Williams, that type of movie was like wearing creative handcuffs. He probably had to dial back his own nature so much that he felt trapped. At the end of the day, it was all about the paycheck. 22. 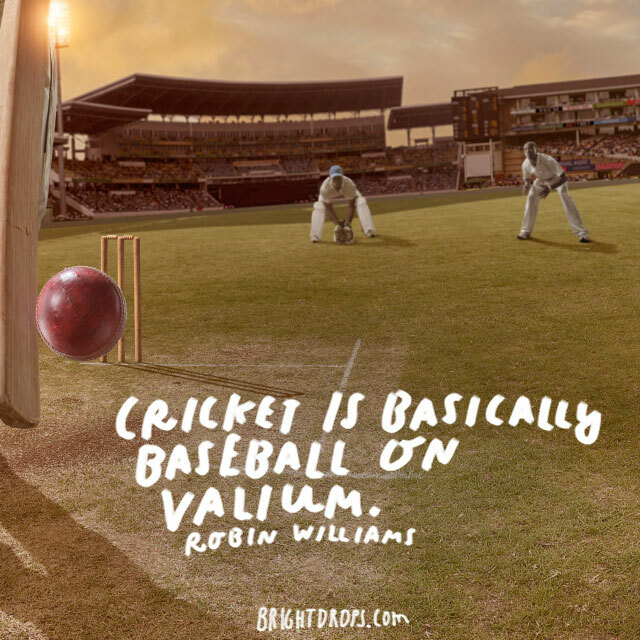 Robin Williams on Cricket. There’s no sport with stranger rules than cricket. Don’t watch it for too long, you could injure your mind forever. Robin Williams tried to watch cricket and he said they just stopped playing at some point. Sometimes the matches would last for days. It seems like he was right: They’d give a bunch of baseball players some valium and sent them out to play. 23. 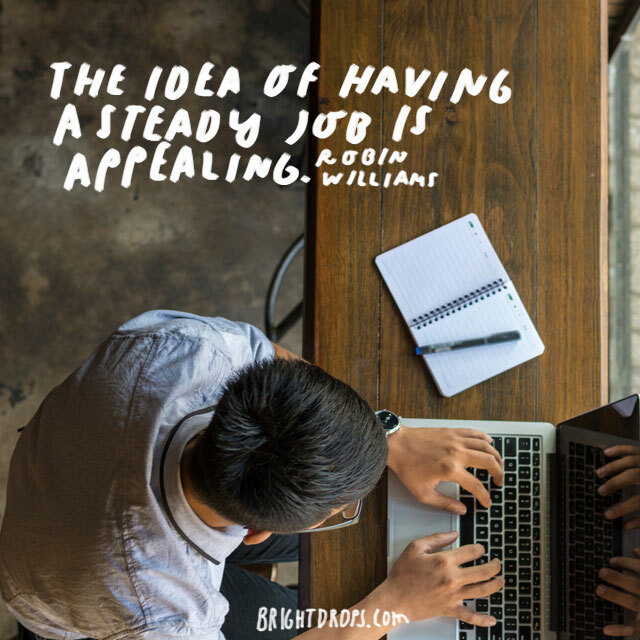 Robin Williams on a Steady Job. When you can never hit the off switch, life is a pressure cooker. Our obsession with his humor and wit drove him to insanity. After all he accomplished, there were times in his life that he sought to just have a normal life like the rest of us. Fame and fortune ain’t all it’s cut out to be. 24. 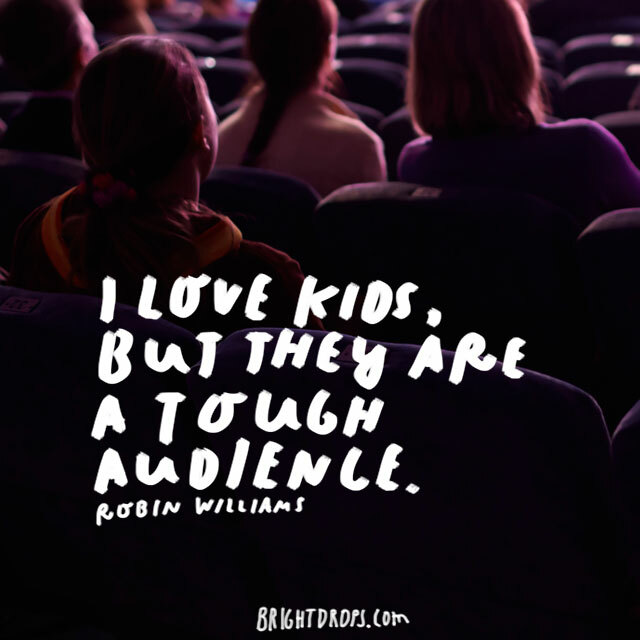 Robin Williams on Kids. During the 90s, Robin Williams re-invented himself as a leading man in family films. His standup did not change, but the roles he played were all family features. He had to adapt and change to this new audience and incorporate more slapstick physical comedy into his persona. He was always high energy, but he had to reinvent himself in a way. 25. 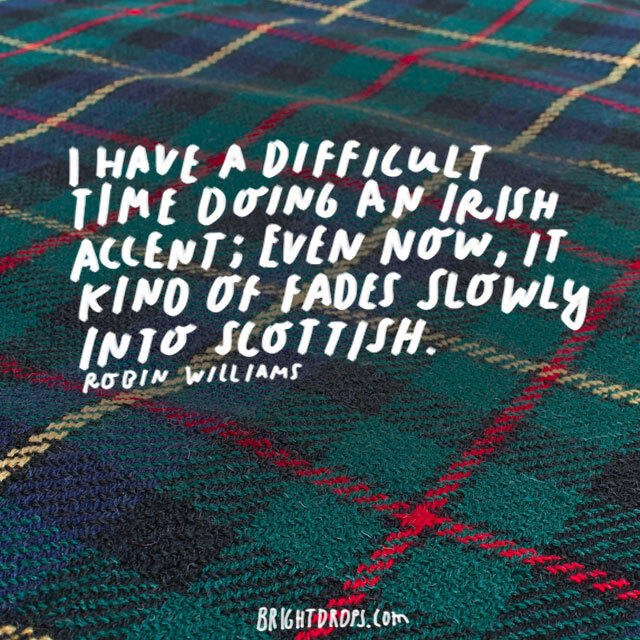 Robin Williams on Accents. After he evolved into the star of a long string of family features, Robin Williams reinvented himself yet again. He began an acting career. A real one. He took more serious roles with deeper character development. He turned out to be a phenomenal actor, but it was because he was honest about his weaknesses. 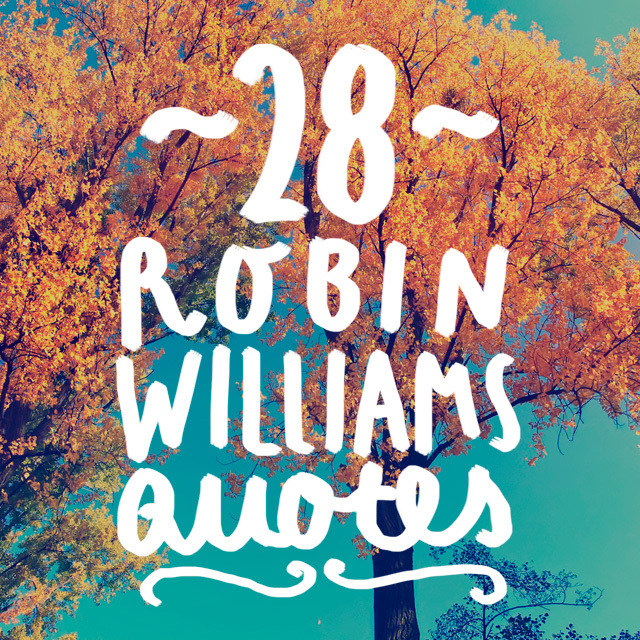 A theme in these Robin Williams quotes. 26. 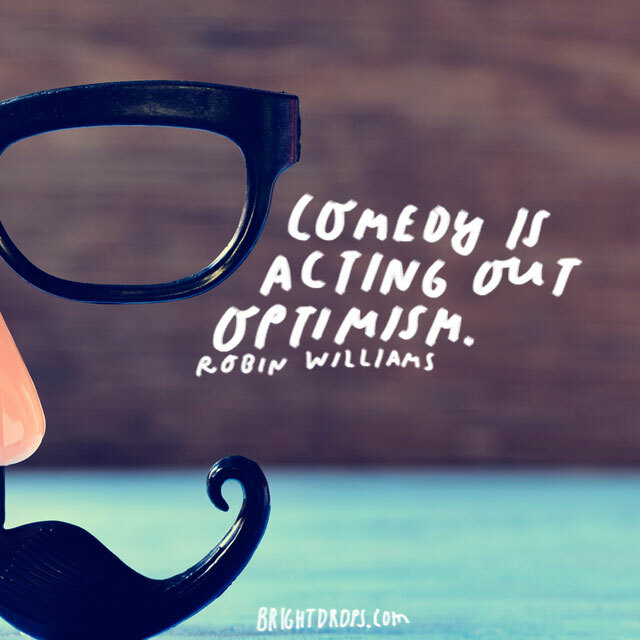 Robin Williams on Comedy. 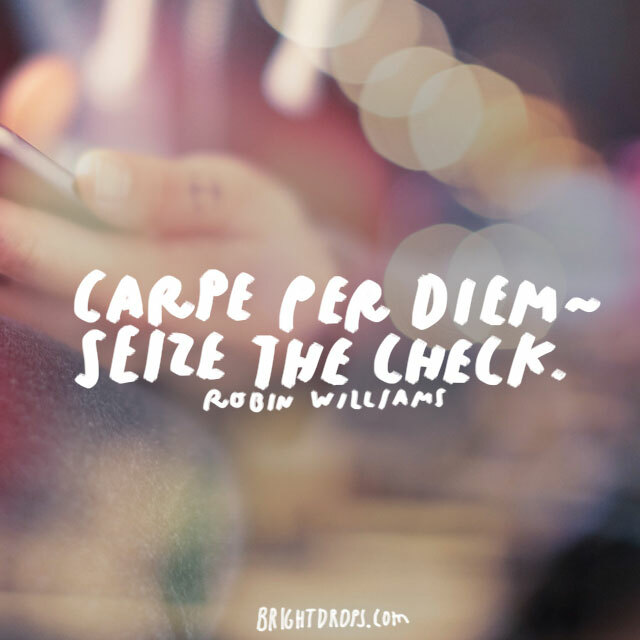 The true secret to Robin Williams’ success was his undying commitment to positive energy. He struggled as much as all of us do, but he never gave up his optimism. He was able to dig deep whether he was entertaining live audiences, playing a cross-dressing father/nanny, or growing as an entertainer and person. 27. Robin Williams on Believing in Someone. Robin Williams was well into his career. He had finally made it to the point where he had no need to work anymore. While he was trying to reinvent himself and become a dramatic actor that could be taken seriously, he met these two young guys. Robin Williams believed in them enough to make their careers as successful as his own. 28. Robin Williams on Changing the World. Robin Williams changed the world. He made us laugh; he made us cry. And before he left us, he made careers for other actors and comedians so that they could carry on the torch for him when he was gone. His unpredictable mentality will be remembered in our hearts and minds for generations to come.